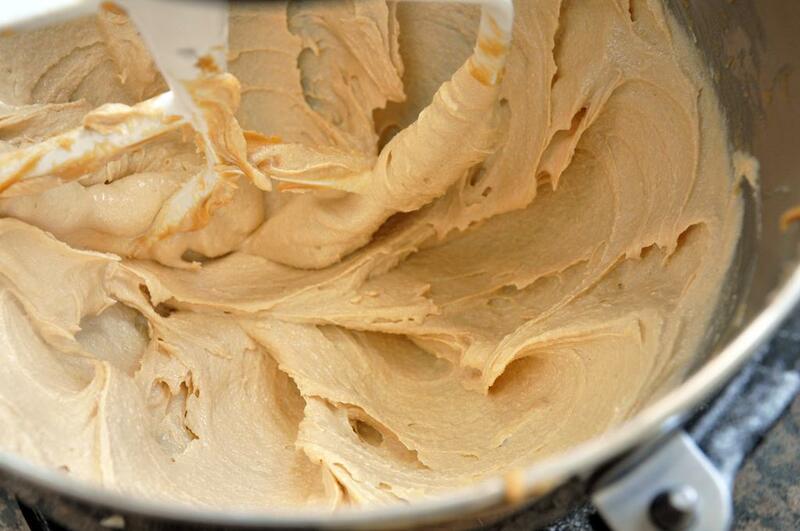 In a stand mixer or food processor, add butter, sugar and peanut butter. 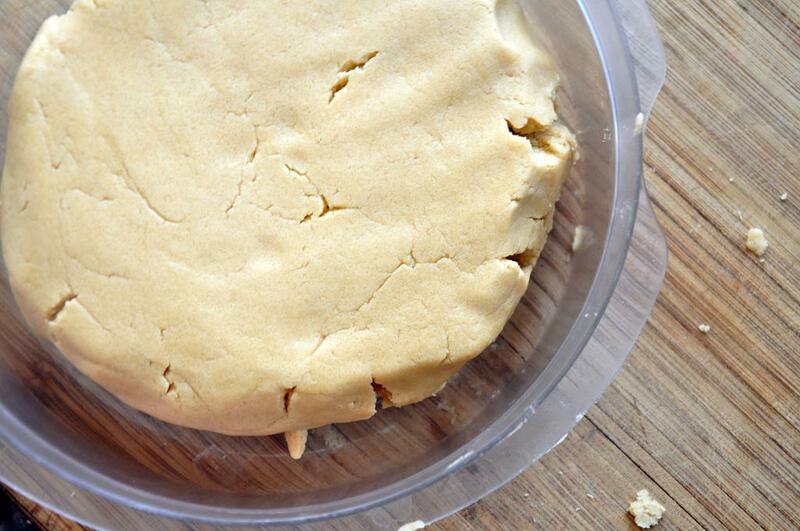 Beat/cream for 3 minutes until smooth, then reduce speed to low and add flour, salt and baking powder. Crust will be crumby. Turn out and kneed for a few minutes until dough comes together. 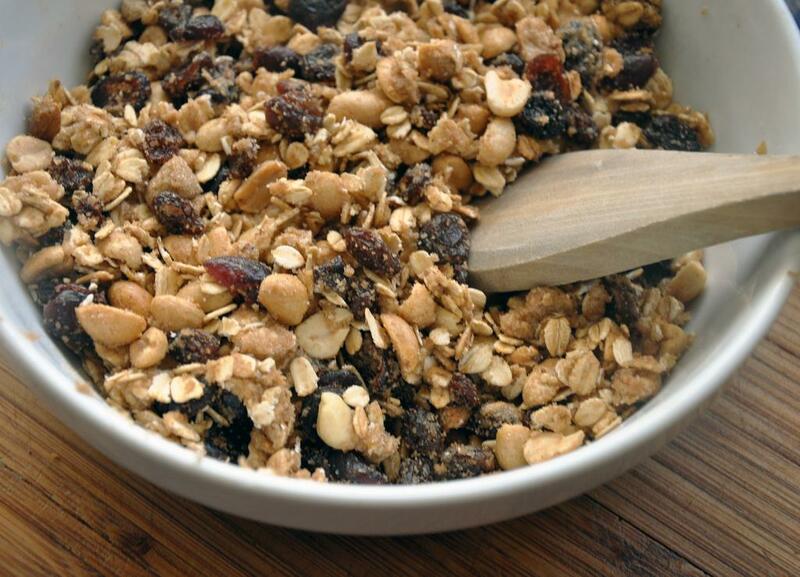 Put in a bowl, cover and refrigerate. Meanwhile preheat oven to 400 degrees. 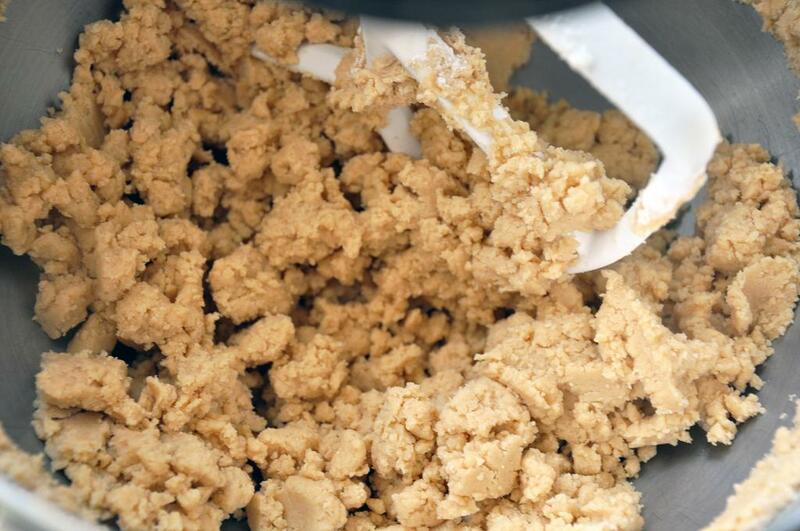 To make the crumb, put all the ingredients into a medium bowl and stir until combined. Cover and refrigerate. 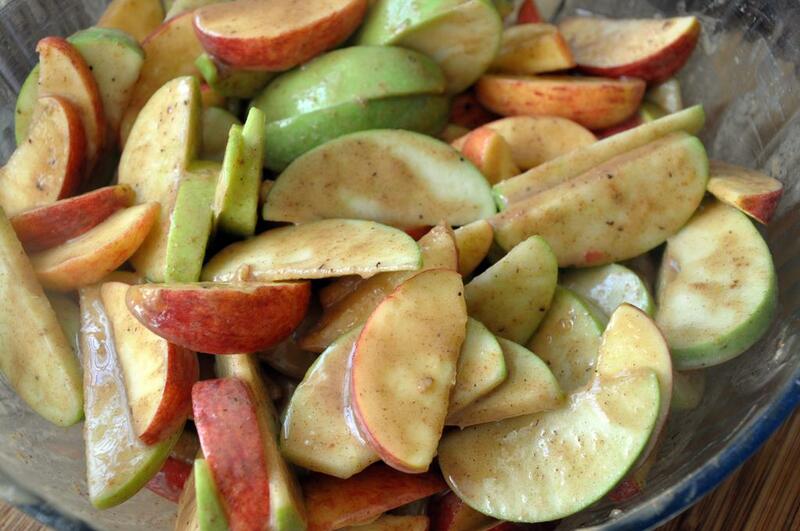 To make apple filling, toss all ingredients together in a large bowl until well coated. Refrigerate. 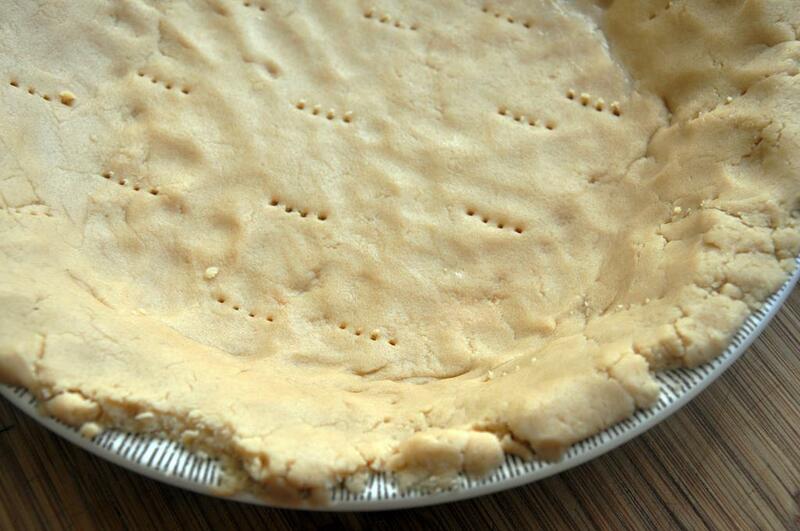 Spray a 9-10" pie pan with cooking spray and press crust into pan evenly. Prick with a fork and bake for 10-15 minutes until just slightly browned. Remove from oven and add apple filling using a slotted spoon so liquid remains in bowl. 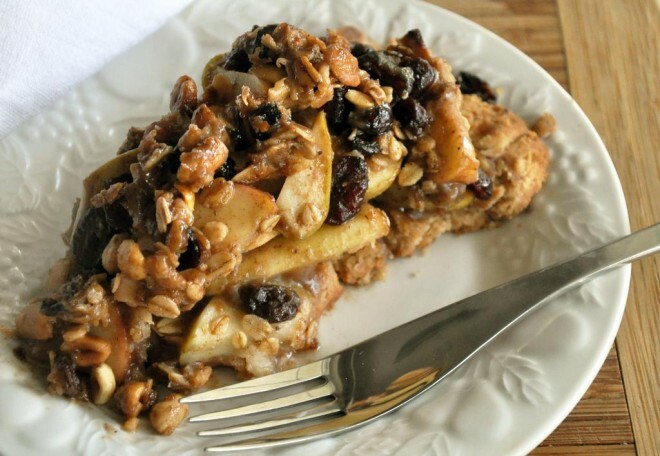 Sprinkle with granola crumb topping and bake 60 minutes until apples are soft and browned. 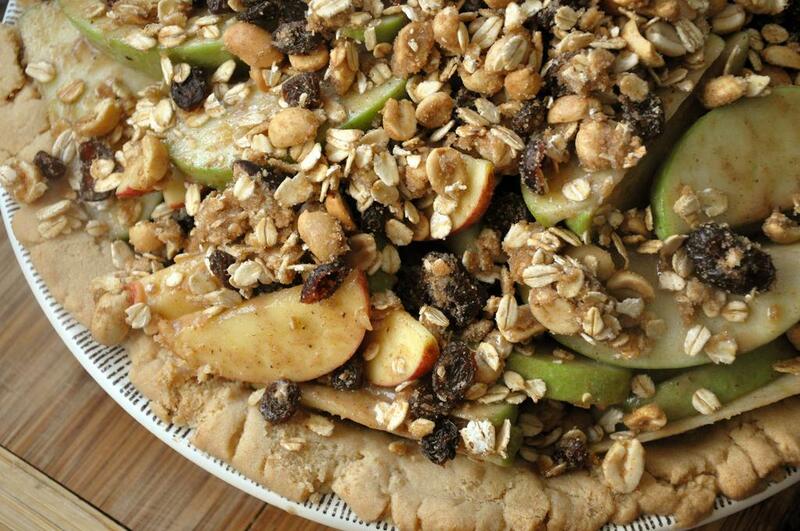 If needed, baste pie with remaining apple filling liquid a few times throughout cooking. Let cool slightly, slice and serve warm or at room temperature.